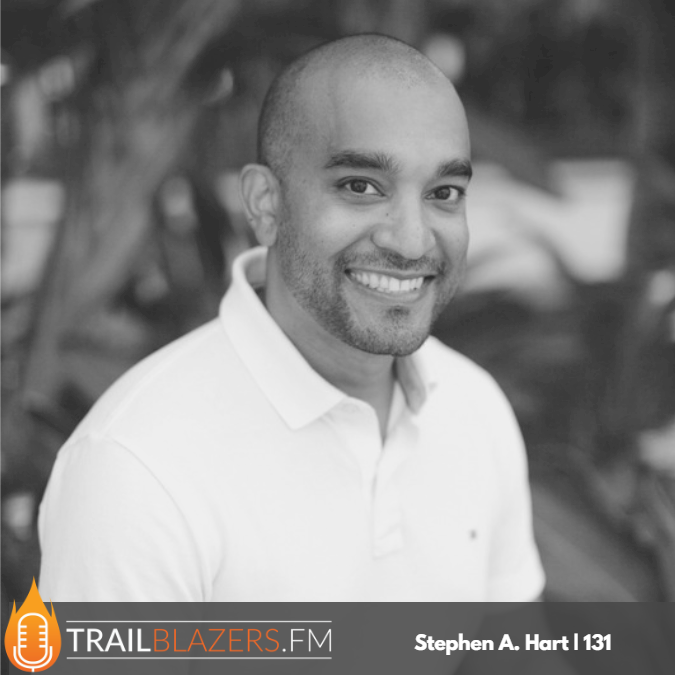 My name is Stephen A. Hart, and in addition to being host of the Trailblazers.FM podcast, I am a Brand Alignment Strategist, and what that means is that I help individuals create their amazing personal brand and an impressive digital footprint. Who ARE you? Are you the same in person as you are online? Your audience, the people you serve, want to know. There’s real life, and there’s reel life. Share social media posts that are a true reflection of yourself — unpolished and messy as life is. Before anyone buys a product or service from you, they’re buying YOU. Share your story, and invite people in to begin to know you! Want to connect with your audience? Be real. Write down the 5 things valued and loved the most in your life, and share your #journey through the lens of these 5 things. Make a connection with your audience. Be real. Be raw. Invite your followers into your world. As you share your story across social media, remember these 3 important elements of your personal brand: color palette, font and imagery. [Branding Tool Tip] Use Canva to create social media posts with your brand’s colours and fonts to polish your online presence, as you share your story with your audience. Insert some of YOU in your content creation and the things you share with the world. Who are you SERVING? Create an avatar to document your client profile. Want intel on the content you need to create for your customer? Get to know the pain points and life hurdles that are challenging them the most. Find our what keeps them up at night. What content is your customer-base currently consuming? Who are YOU? Who are you SERVING? What is your CORE #MESSAGE? This is the foundation for building your personal #brand. Don’t go your brand-building journey alone! We’re opening the doors to BRAND YOU ACADEMY in October 2018 to help you build a winning personal #brand and #digital #footprint! Sign up now!